EA DICE has founded its reputation on the antics of burly men with weapons. 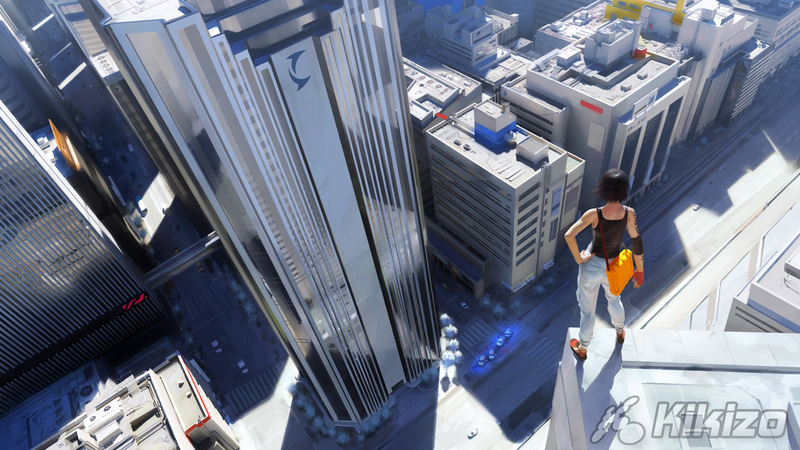 In a startling twist, Mirror's Edge is about running away from them. As the lean, vaguely Asiatic protagonist Faith, your job is to deliver packages to a resistance organisation scattered across the glitz and sparkle of a near-future totalitarian metropolis. Between you and your destination lie the balaclava-clad forces of oppression, but the idea is less to give these cads a sound drubbing than to have them eat your dust, bounding between skyscrapers and sliding down precarious pipes in the very best parkour fashion. All of which has caused no end of whinging among Battlefield loyalists, those maestros of the improbably remote pistol headshot, but what we've seen so far suggests that EA's DICE studio has pulled off its genre volte-face with style. 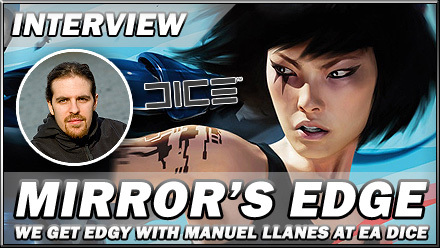 Just ask Manuel Llanes, one of the producers at the Sweden-based developer. 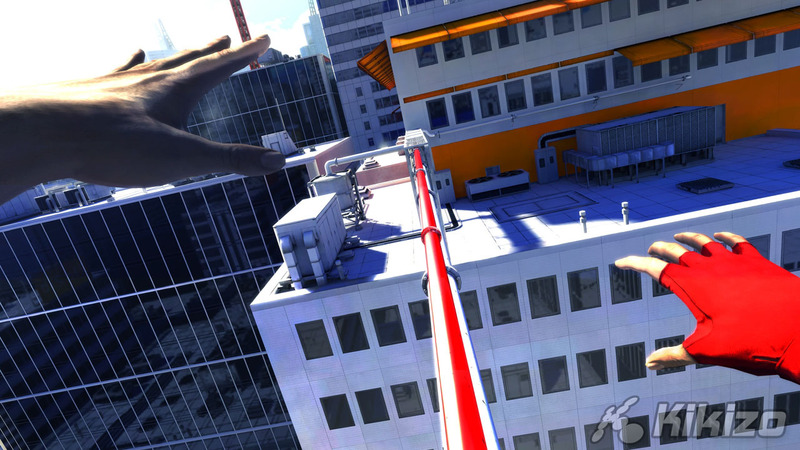 Kikizo came careening through his office skylight to get the skinny on that bewitchingly limber heroine, fear of heights and the role of gunplay in a game based on evasion. 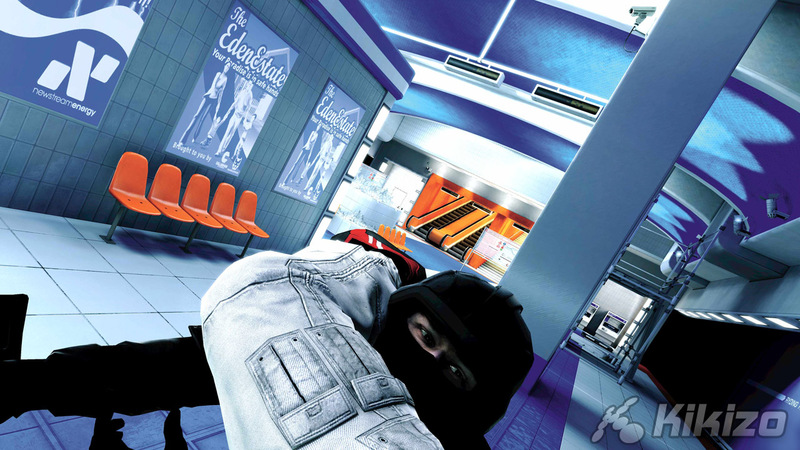 Kikizo: For decades, gamers have been taught to avoid edges and drops. Do you think Mirror's Edge will be a little counterintuitive in this regard? How would you say players need to approach this psychologically? Manuel Llanes: We're getting asked a similar question a lot, which is just "will people get it?" I think the answer to both questions is that everyone we've talked to... the reaction was surprisingly positive... It takes some risks, this project, there's no way you can hide [from that], but we wanted to try it - we got the chance to try that. And again we had the questions and I think we underestimated people a lot, and also all of us in a way... because the feedback's been really positive, and I do believe [gamers] will get the game. I guess one of the ways to make people comfortable with that is that the game is extremely immersive - just the way it should be, really. Everything audio-visually and storywise is supposed to make you feel as though you are really in this game as Faith. And I think once you are there, and they're chasing you and there's the edge, and you're feeling confident, you know you're agile... I think it gets under the skin. Llanes: Yeah, you use the same button but underneath there are [other factors] too. It takes into account your timing, the environment, your speed, your angle of approach, all those sorts of things. So to an extent it's determined by the player as much as by the environment. More by the player, actually. And it takes skill - it's easy to learn but hard to master. I'm not the best of players, especially of our testers... They can take [what is] a 40-minute level for a newcomer, and play it in seven minutes. That's 500% [quicker] which is a scarily high number, which means that if you're good at it... You can play the game if you're not super-skilled, but you can become as good as you want. [laughs] So I think it's a long difficulty curve, but the replay is nice because you can complete a level and get the reward, then run back and get a more spectacular time. Kikizo: How long will the game last for the average player? Llanes: We've aimed around the 12-hour mark. Kikizo: Can you tell us a little about the "sandbox" element we've been hearing about? Llanes: Well basically unlike extremely open world games like Oblivion, we decided to have a focussed game with a focussed storyboard, a focussed experience. But on the other hand, Faith as a runner is extremely agile, and even just in the [starting] area - and of course bigger areas even more so - they accommodate a number of permutations in how to traverse it. It's really scary! Again, it goes back to that beginning level - 500% faster means that player is doing all sorts of crazy combination jumps, which is rewarding because it's so much more elegant and fluid, but again if you're a normal player, you'll [still] enjoy it. It's not that hard to pull of those tricks, especially because you flow with it.